Gorgeous colonial set on prestigious Jackson Park Boulevard showcases modern amenities & classic details. 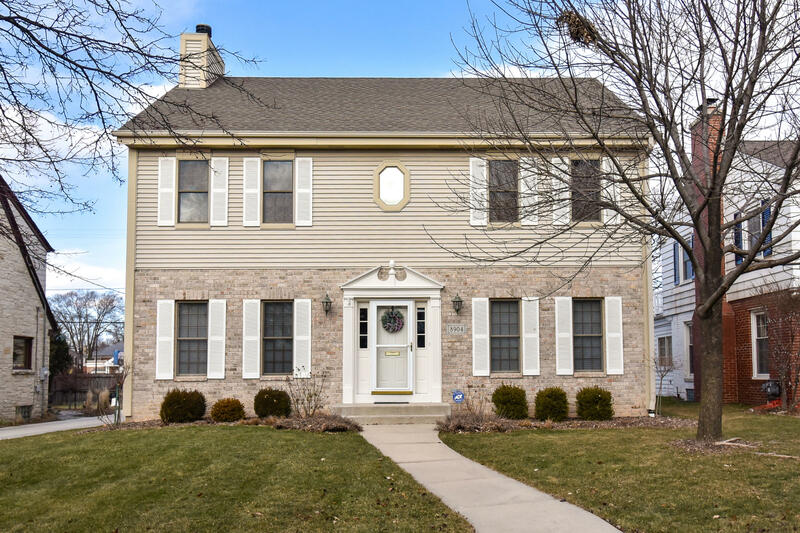 If you are looking for a spacious and updated open concept layout typically found in new homes, but in a desired top Wauwatosa location you've come to the right place! Classic center entrance layout offers spacious entryway with open staircase, LR & DR. LR connects to the FR via glass pocket doors. DR connects to the KIT via bar/pantry area. KIT features solid oak cabinetry, granite countertops, a large island & a dinette area. FR is wide open to the KIT and showcases a FP w/ mantel. This layout is an entertainer's dream! 1st floor laundry room & mud room are located near the main floor 1/2 BA. Up find 2 lg BDs, a full BA & master suite w/updated BA. Newer patio - great yard.